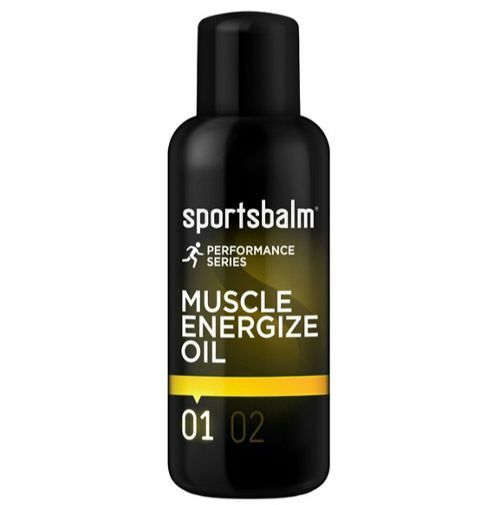 The Sportsbalm Yellow Performance Series helps with the preparation and protection of muscles and tendons and with their optimal performance during sports in mild and warm weather conditions. A proper warming-up of the muscles is always important. Muscles have to deal with heat from outside during mild and warm weather conditions. This causes the stimulation of circulation in the skin and blood is withdrawn from the active muscles and tendons. De Sportsbalm Yellow Series stimulates circulation in the active muscles, whereby the circulation in other organs and the skin is reduced in a responsible way. There is better delivery of oxygen and nutrients and the removal of waste products (CO2), thus reducing the risk of lactic acid build-up, stiffness and muscle pain. The products from the Yellow Series have a prolonged warming effect. The breathable ‘film layer’ does not close the pores, which allows the skin to continue to function naturally. For the optimum effect, apply the product 15–30 minutes before exercise. Muscle Energize Oil is a preparatory oil for supple muscles during exercise and sport in mild and warm weather conditions between approximately 19°C and 30°C. In addition to promoting efficient circulation, Muscle Energize Oil helps slow the formation of lactic acid in the muscles.